MILLARE Fashion: Fashion Therapy! Studio 29 Invites You To Their Fab Fashion Party This Sunday. Fashion Therapy! 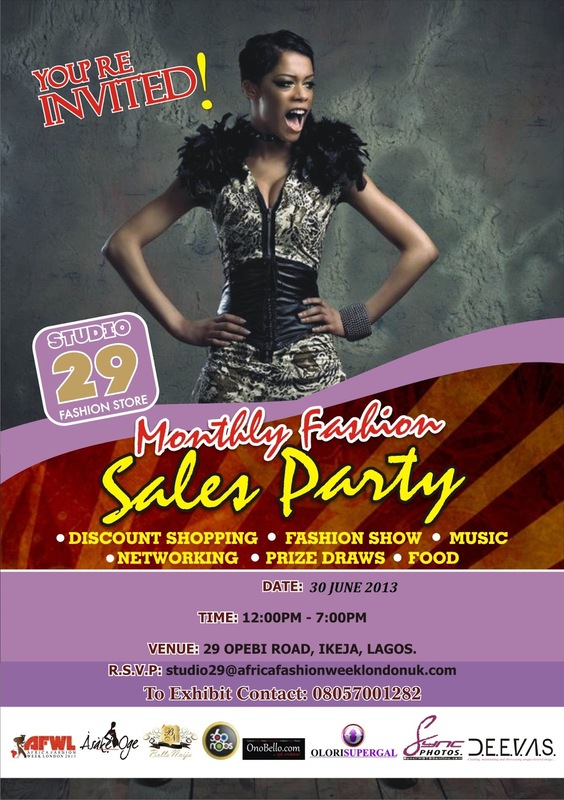 Studio 29 Invites You To Their Fab Fashion Party This Sunday. Get ready to mingle, shop and network in an style atmosphere of high couture this Sunday as Studio 29 once again, treat fashion and stye lovers to another delightful evening of shopping therapy. Designed to the best industry standards, Studio 29 provides a world-class boutique space an fashion publicity and marketing services all under one roof, ensuring a stockists, an unprecedented showroom for labels and consistent publicity and promotion within the Studio 29 experience. The STUDIO 29 monthly fashion party is a sales focused event to help designers expand their market and network with fellow creatives. It is a day of shopping, networking, fashion shows, games, food, music and raffle draws.